Thelonious Sphere Monk was an American jazz pianist and composer considered one of the giants of American music. 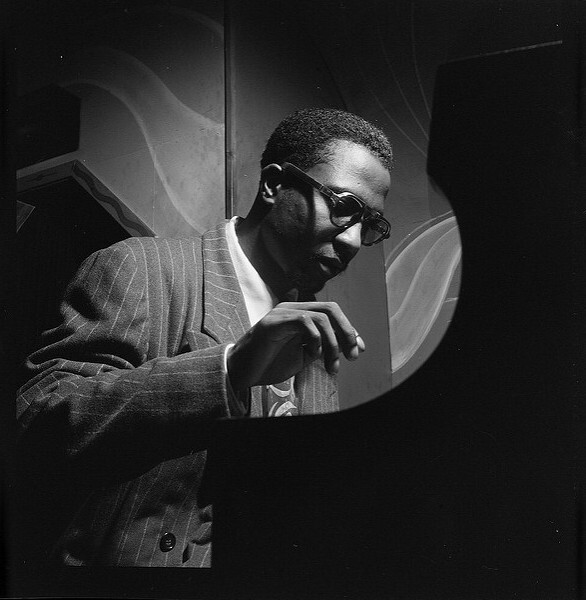 Monk had a unique improvisational style and made numerous contributions to the standard jazz repertoire, including "Epistrophy", "'Round Midnight", "Blue Monk", "Straight, No Chaser" and "Well, You Needn't". Monk is the second most recorded jazz composer after Duke Ellington, which is particularly remarkable as Ellington composed over 1,000 songs while Monk wrote about 70. Bassist Al McKibbon, who had known Monk for over twenty years and played on his final tour in 1971, later said: "On that tour Monk said about two words. I mean literally maybe two words. He didn't say 'Good morning', 'Goodnight', 'What time?' Nothing. Why, I don't know. He sent word back after the tour was over that the reason he couldn't communicate or play was that Art Blakey and I were so ugly."